Swimming Pool In Common Area. Great Potential, Great Location. MLS#6531512. Rand Realty Of Georgia, Llc. Come And Pick All Your Finishes. Ready Early Summer.K MLS#6529827. Jw Collection Brokers, Llc..
Woodlands - To 400 & Shops, Excellent Schools, Etc. First Class Amenities. Must See! 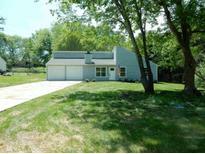 MLS#6530034. Wynd Realty. Townview Commons - Oversized Master With Walk In Closet And Double Vanities, Upstairs Laundry, Fireplace, Patio And Private Backyard. MLS#6530022. Atlanta Communities. Grand Clubhouse Just Opened Featuring Salt Water Pool, Work Out Facility, And Elegant Finishes. MLS#6529119. 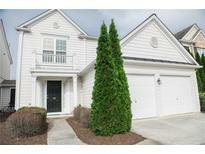 Orchards Development, Llc..
Magnolias At Ridgewalk - Move In Ready 3 Bedroom 2.5 Bath End Unit Townhouse Motivated Seller! ! MLS#6529083. Solid Source Realty, Inc.. Downtown Woodstock - Enjoy Woodstock Downtown Lifestyle Relax In The Fabulous Outdoor Courtyard Setting W/Beautiful Gardens & Built-In Grill, Gourmet Kitchen Stainless Steel Appliances That Views To The Family Room,Open Floor-Plan,Hardwood Flooring Throughout,Plantation Shutters, Private Master Suite On Main Floor With Spa Like Bath W/Great Closet Space,Large Secondary Bedrooms With Private Baths,Terrace Level Features Bedroom W/Full Bath, Family/Media Lounge,Great Storage,Hoa Takes Care Of Yard Maintenance/Walk To Incredible Night Life Amphitheater,Fine Dining & Casual, Wonderful Dog Parks & Walking Trails MLS#6528187. Ansley Atlanta Real Estate, Llc. 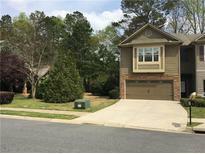 Magnolias At Ridgewalk - Private Backyard With View Off Beautiful Hardwoods. MLS#6528162. 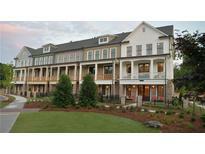 Current Realty, Llc..
Parc At Wiley Bridge - Ga-92 Provides Swift Access To Shopping, Dining, Parks, Golf And More! MLS#6527284. Marketplace Housing, Llc.. Downtown Woodstock - Located 1 Block From Main Street W/Restaurants, Shops, Concerts, Parks. Community Has Pool, Playground, Amphitheater. MLS#6526681. Harry Norman Realtors. 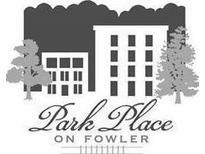 River Park - Nearby To The Best Shops, Dining, Schools, And Parks That Woodstock Has To Offer! Convenient Access To Hwy 575. MLS#6526466. Keller Williams Rlty Consultants. Sunset Pointe Townhomes - Home Is A Foreclosure And Being Sold "As Is" With Minor Repairs Such As Carpet/Paint Highest And Best Due By April 4Th! MLS#6526835. Broadus Realty Group, Llc.. Better Act Quick If You Want This One. MLS#8550947. Keller Williams Rlty First Atl. Bluffs At Mountain Brook - New On The Market And Won'T Last Long. MLS#6524173. Nygaard Properties Residential, Llc. With A Little Bit Of Love This Will Be A Great Home. MLS#6525529. Re/Max Town & Country/ Sandra Watkins & Co.. 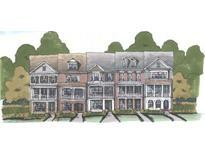 Village At Weatherstone - Easy Access To 575 & Ga 400 As Its Located Right Off Hwy 92 In Heart Of Woodstock! MLS#6522023. Mudd Realty, Inc..
Grand Clubhouse Just Opened Featuring Salt Water Pool, Work Out Facility, And Elegant Finishes. MLS#6521830. Orchards Development, Llc..
Park Creek - Low Taxes W/ All Advantages Of Being Minutes To Everything! 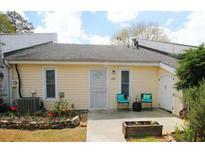 MLS#8546546. 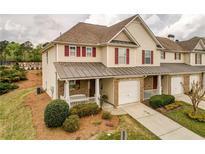 Solid Source Realty Ga.
Lots Of Light With 3 French Doors In Living Room Leading Out To Covered Front Patio. Oversized 2 Car Attached Garage. MLS#6519911. Mark Spain Real Estate. 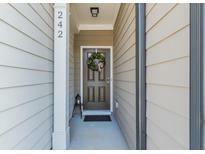 Villas At Claremore Lake - Great Community With Clubhouse, Pool, Lake, Walking Trails & More! MLS#6519389. Century 21 Connect Realty. Chadds Ridge - Downstairs In The Finished Basement You'Ll Find A Large Living Area, A Full Bathroom, And A Potential Bedroom/Home Gym/Hobby Room/Etc. MLS#8541675. Keller Williams Atl. Midtown. Interior Has Been Freshly Painted And Ready For New Homeowner. MLS#6516916. Keller Williams Rlty, First Atlanta. Villas At Claremore Lake - Covers Pool & Clubhouse, Yard Maintenance, Trash Pick Up,Exterior Painting Maintenance, Roof Repair/Replace, Termite Treatment/Repair Bond. Priced Below Market! MLS#6516757. Berkshire Hathaway Homeservices Georgia Properties. Quiet Neighborhood In Prime Location. Won'T Last. MLS#6516672. Your Home Sold Guaranteed Realty, Llc.. Location Location Location, Minutes From The Shops & Dining In Woodstock. Ready April 2019. MLS#6515899. The Providence Group Realty, Llc..